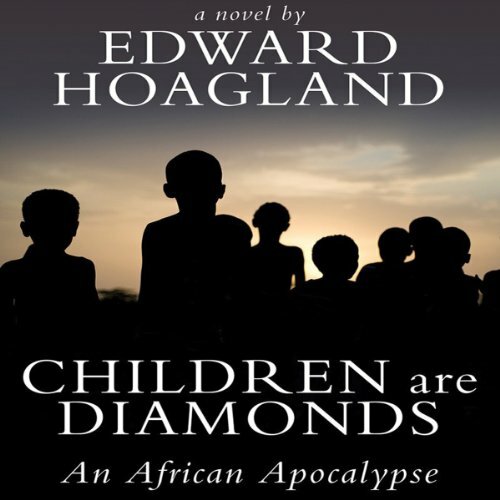 "In Africa, everything is an emergency," begins Edward Hoagland's powerful novel Children Are Diamonds. Quietly and thoughtfully performed by award-winning voice actor Jonathan Davis, the rest of the story sets out to prove that statement, devastating listeners in the process. In 1995, a roguish American high school teacher named Hickey begins work as an aide worker in Nairobi, and during his work, befriends Ruth, a middle-aged woman who mans an aid station in Southern Sudan. When the region dissolves into chaos, Hickey has to rescue her, leading to a heart-stopping, anguishing climax. Davis easily lends himself to Hickey's voice, capturing his wonder at the beauty of Africa and his horror at the violence that tears it apart. An African apocalypse by "one of the very best writers of his generation" (Saul Bellow). This is not the Africa of Isak Dinesen, nor the Africa of Joy Adamson. This is the Africa of civil wars and tribal massacres, where the Lord’s Resistance Army recruits child-soldiers after forcing them to kill their parents and eat their hearts. The aid workers who voluntarily subject themselves to life here are a breed of their own. When the violence and chaos in the region increase to a fever pitch and aid workers are being slaughtered or evacuated, Hickey is asked to save Ruth overland by Jeep. What happens to them and the children that have joined their journey is the searing climax of this novel. Hoagland paints an unflinching portrait of a living hell at its worst, and yet amid that suffering there is hope in the form of humility, sacrifice, and life-affirming friendship. ©2013 Edward Hoagland (P)2013 Audible, Inc. I lived for several years in Africa, and from my experiences and readings, this guy really knows what he is talking about. This is a deep, insightful story about the craziness of living and working on the edges of a zone of unthinkable war that has gone on for generations. I had a lot of trouble understanding things while I was there, and this book helped me to understand some things a bit more. It is a great story, and full of truth. Definitely, read!